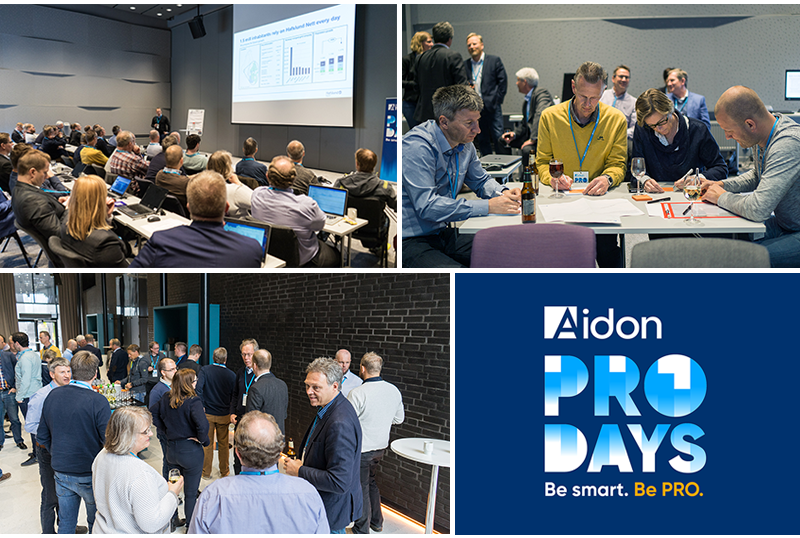 A group of over 40 people met at Scandic Oslo Airport on the 3rd and 4th of May on Aidon Pro Days, an event which Aidon now arranged for the first time in Norway. It’s busy times for the DSOs with the AMM roll-out. Despite that, a good mix of AMM project personnel and people from DSOs’ operational functions took their time to meet each other and the Aidon team. The roll-out projects are soon approaching the closing deadline, and it is about time to already sharpen the outlooks for the time after the project phase. On the agenda there were topics from Aidon, from the business news and strategy up to solution roadmap and presentation about security and GDPR. Guest speakers, CIO Jon Andreas Pretorius from Hafslund Nett and Eirik Øie from Eidsiva Nett presented different perspectives on AMM. Pretorius explained the principles of Hafslund’s new enterprise architecture in which data from company’s various systems is collected to one central platform and is there available for the utilisation in different processes. Øie presented Eidsiva’s use case based approach to ‘nettnytte’, the added value of AMM for reliable energy distribution and grid maintenance. The Finnish guest speaker was Timo Patana, CEO of a middle-sized regional DSO from Northern Ostrobotnia. Patana presented the many ways his company is utilising AMM in the company’s customer service, for example to locate faults and outages and to inform their customers about disturbances. Before a dinner, the 1st day’s programme ended with “Kingdom of Grid” workshop wrapped in a format of a game in which the participants were asked to identify and solve problems in their grid with help of some AMM / Power Grid Management magic. In his closing words the chairman Thor-Erik Næss, Aidon’s managing director for Norway, asked from the audience whether there should be Aidon Pro Days also next year. The response of the audience was unanimous: “Ja”.